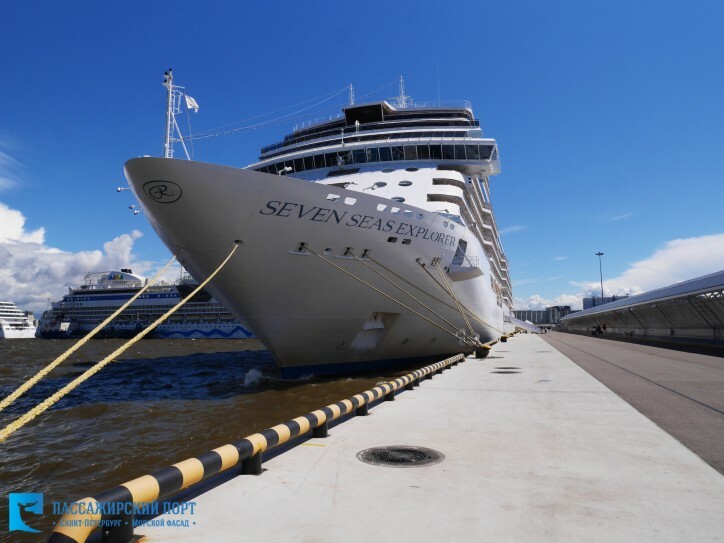 Thursday (June 22, 2017), cruise ship Seven Seas Explorer (Regent Seven Seas Cruises) has made its maiden call to Passenger Port of Saint-Petersburg. Seven Seas Explorer was built in 2015 at the Fincantieri shipyard in Italy. Christening ceremony was held on July 13th, 2016 in Monte-Carlo, Monaco. The godmother of the new flagship of the line was Charlene, Princess of Monaco. The vessel of 223 meters length has 14 decks, 350 cabins and capacity 750 passengers aboard. 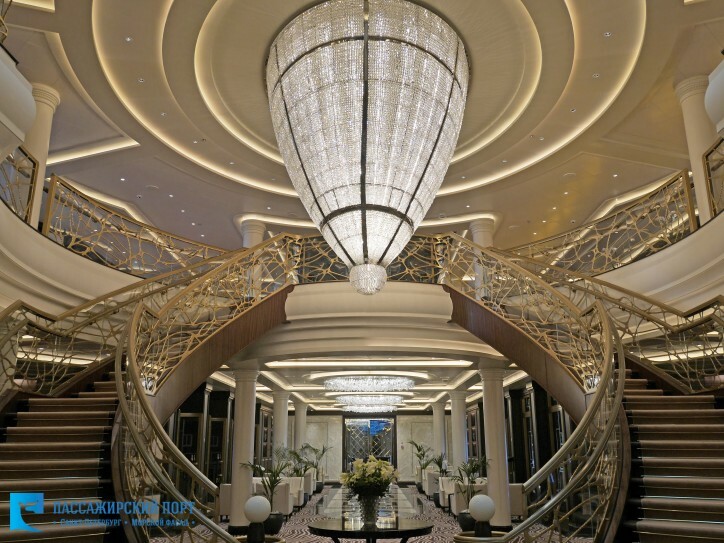 Seven Seas Explorer is said to be one of the most luxurious cruise ships ever built. The interior is made of Italian Carrara marble. Design of the vessel is distinguished by gold leaf, chandeliers made from Czech crystal and more than two thousand pieces of art including paintings by Marc Chagall and Pablo Picasso. 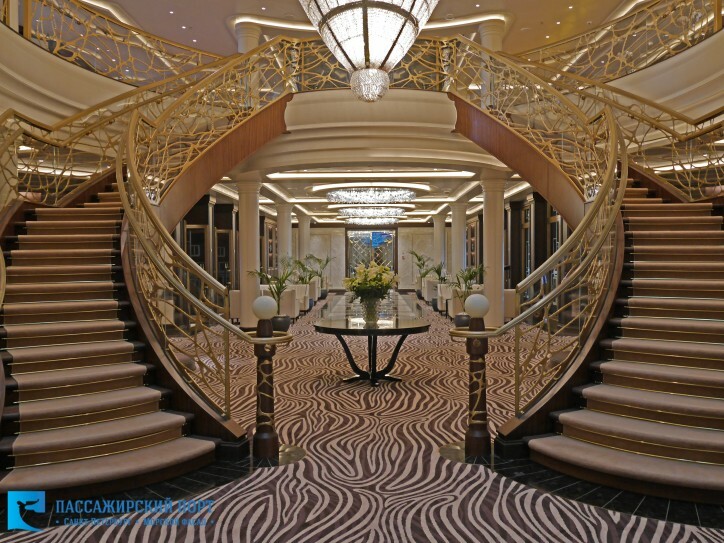 The ship has its own theatre, two big swimming pools and a fitness-center. Regent Seven Seas Cruises is a cruise company, previously known as Radisson Seven Seas Cruises, located in Miami, Florida. Every year the vessels of the company make calls to more than 300 ports worldwide, many of them are not available for larger vessels that makes Regent Seven Seas cruises exclusive. 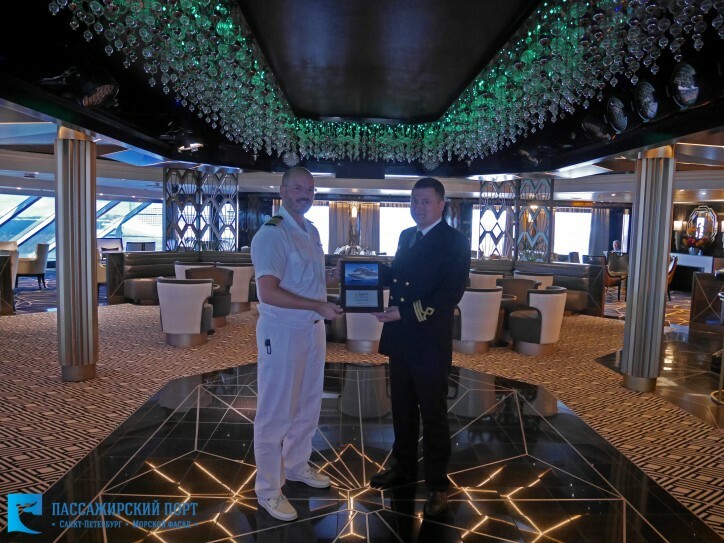 From Passenger Port of St. Petersburg the vessel will move to Helsinki, sailing around the Baltic region. Until the end of summer season 2017 Seven Seas Explorer will visit the Passenger Port of St. Petersburg 6 times.